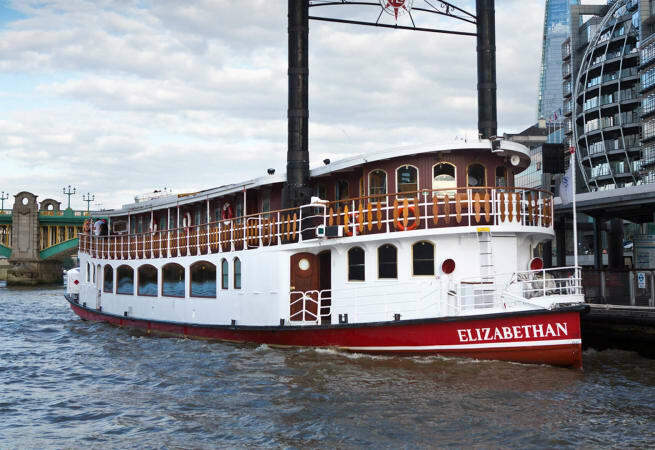 Elizabethan is a stunning replica of an 1890s stern-wheeled Mississippi paddle steamer and one of the most desirable boats for hire on the River Thames. 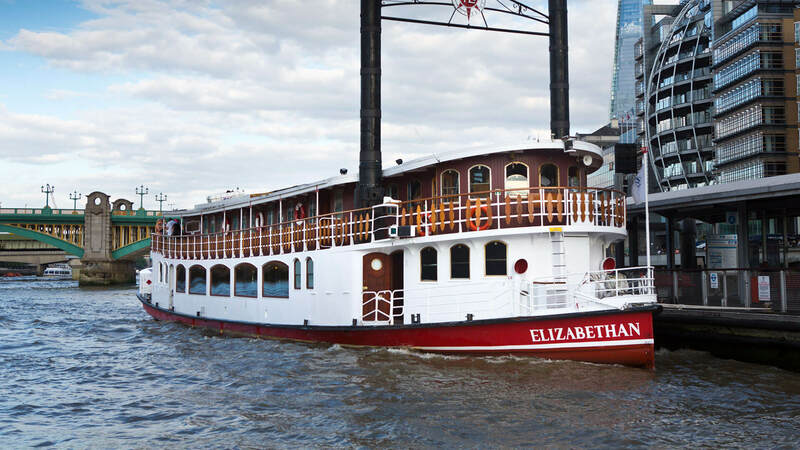 Whether you're seeking a venue for press receptions, film shoots, product launches, seminars, dinner dances, sightseeing, luncheons, wedding receptions, or simply to celebrate, the Elizabethan is in a class of her own. 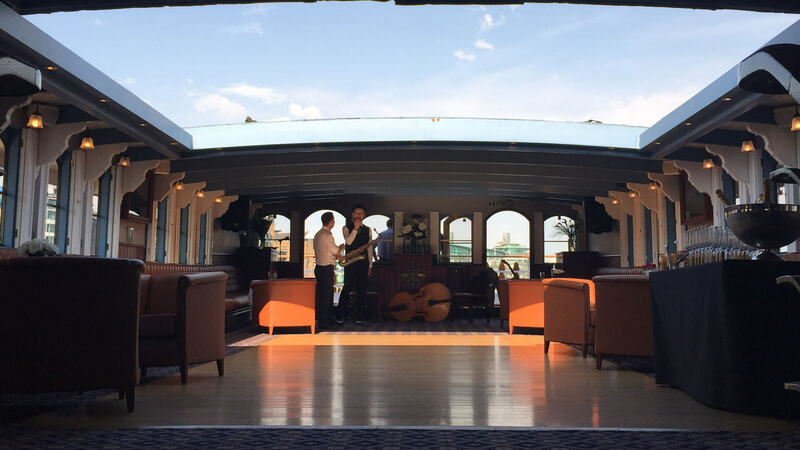 Her capacious upper deck provides a versatile space for guests to mingle, host presentations, dine – or dance below the stars, thanks to her large retractable roof. 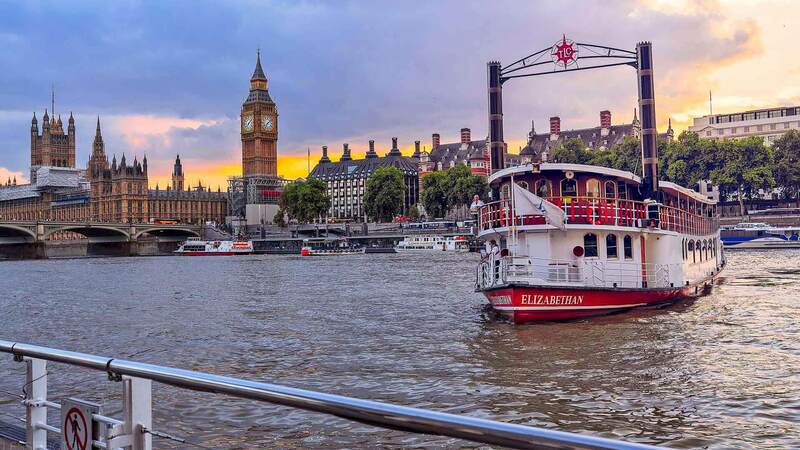 Wooden paneling and sumptuous carpets in her saloon are matched with spectacular views through vast windows that were sympathetically installed to retain her beautiful lines as part of a half-million-pound refit in 2013. 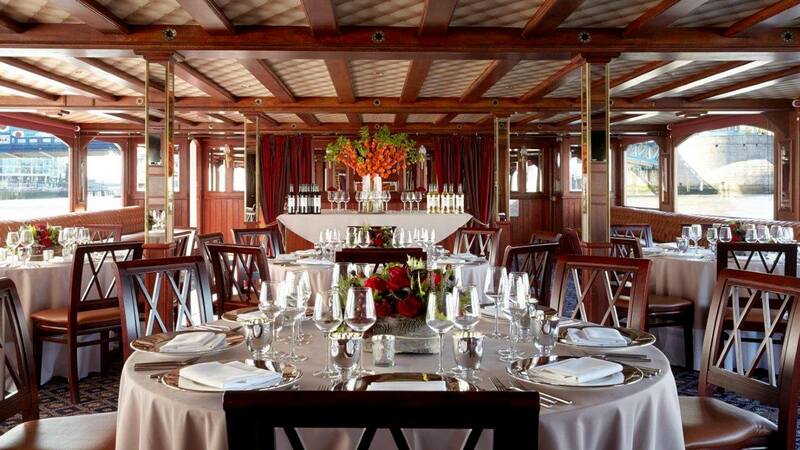 On board, nine discreetly positioned flat screen television screens are capable of playing anything to conference presentations to family photo albums for a birthday party as you enjoy your event in stunning surroundings. 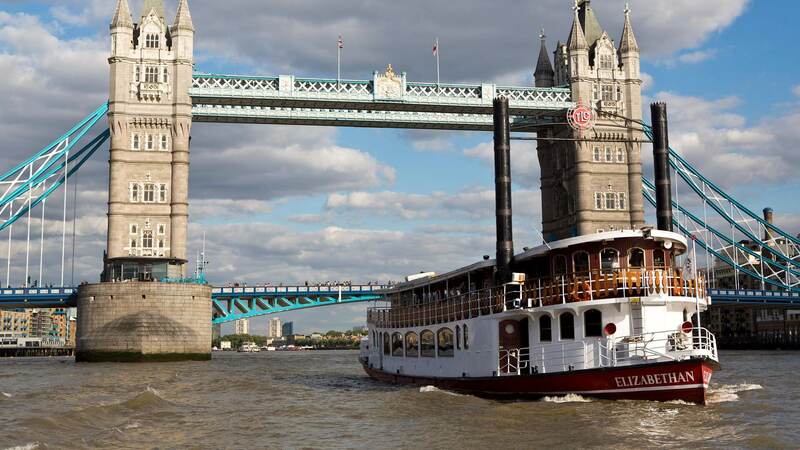 She is available for skippered charters. Please inquire for pricing.